Mega Sale! 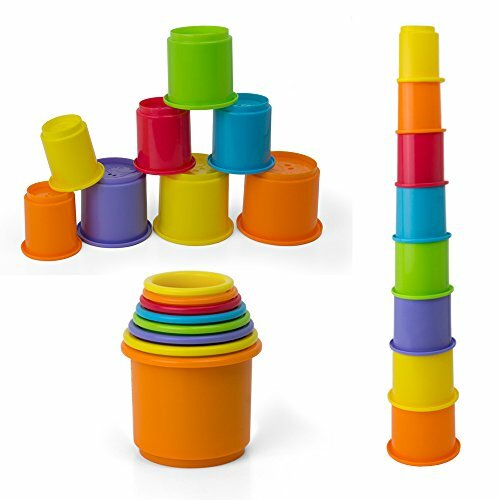 Save 27% on the Rainbow Stacking & Nesting Cups Baby Building Set. 8 Pieces. With Embossed Animal Characters. For Indoor, Outdoor, Bathtub, And Beach Fun Toy. Multi Colors by Kidsthrill at Game Drive Save. MPN: 43234-1636. Hurry! Limited time offer. Offer valid only while supplies last. View More In Stacking & Nesting Toys. There is some much your kids can do with the nesting cups, a reason why this toy is so popular? Can be played at home, in the bathtub, at the beach, a great addition in the playgroup and kindergarten classroom or at the therapist. If you take your kids with you at work, another reason to get this. If you have any questions about this product by Kidsthrill, contact us by completing and submitting the form below. If you are looking for a specif part number, please include it with your message.